Current HMP Grampian governor Allister Purdie is leaving his post after nearly three years in the top job. He was closely involved with designing HMP Grampian in Peterhead during his time at Scottish Prison Service (SPS) headquarters in Edinburgh. Prison bosses have begun their search for Mr Purdie’s replacement to take on the role at the multi-million-pound facility. The Buchan lock-up was built to replace the ageing facilities in the Blue Toon and at Craiginches in Aberdeen. But just two months after it opened in 2014 there was a riot resulting in young offenders being moved to Polmont and, five years later, they are yet to return. The search for a new governor to take on the £73,000 a year post is well under way with the SPS posting an online job advert. 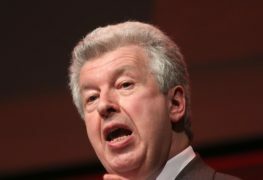 North-east Labour MSP Lewis Macdonald hopes whoever fills the vacancy can look at bringing young offenders back. Mr Macdonald said: “I hope whoever follows Allister Purdie as governor of HMP Grampian will take the same positive approach to keeping prisoners in touch with their families, to support their rehabilitation. 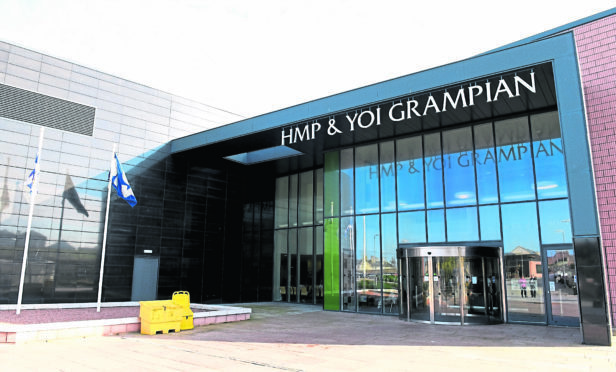 “I hope too that the new governor will be committed to bringing young offenders from the north and north-east back from Polmont to Peterhead to serve their sentence, as was planned when HMP Grampian was built. Last night, north-east Conservative MSP and shadow justice secretary Liam Kerr said despite facing all sorts of issues Mr Purdie was well-respected. He said: “Despite obvious challenges, the outgoing governor Allister Purdie was held in high regard and I was impressed with his commitment to the job. The prison has faced several problems since it opened five years ago. The facility was designed to house inmates from both HMP Aberdeen and HMP Peterhead, with the capacity to hold 500 inmates of all ages. However, young offenders were moved down south following a riot just two months after it opened. In a 14-hour drink-fuelled rampage, inmates caused £150,000 damage to the interior of the building. More than 100 prisoners had to be relocated, with all young offenders taken to HMP Polmont in Falkirk. It was confirmed in 2016 that the Ellon youth wing would remain closed, despite calls from politicians to reopen it. The boiler and heating system in the prison also had to be replaced in 2015. Prison chiefs called for a refund on the inefficient biomass plant and had a traditional gas boiler plant installed instead. Further issues at the jail include issues with recruitment and deliberate fires started inside cells.